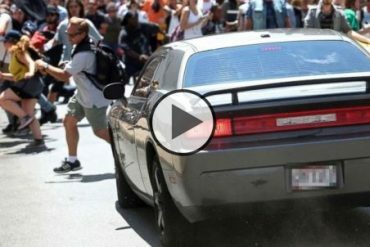 Big Chief vs. Boddie In one hell of a race in Street Outlaws!!! 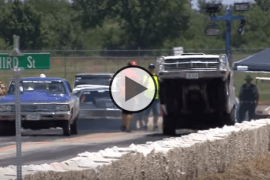 Check this, Big Chief vs. Boddie In one hell of a race in Street Outlaws!!! This might have been the race that everybody has been waiting for, because for quite some time there has been talk about who’s the faster out of Big Chief and Boddie and to be honest we could not wait to see it either. As you are probably guessing already we are not about to spoil the race and the video by giving you the results, we will tell you however that there was a lot of noise about Chief jumping the light, however, as many other times before, after reviewing the video of the start of the race, it became clear to everybody that this did not happen and both of the cars left at the same time, both wheelie bars drop down to the road in the same frame, indicating that none of the drivers jumped, and they both had the same lightning quick reaction, so watch the race and see who wins $ 6 000. Daddy Dave in Goliath vs The Mistress in One Epic Race at Conquer the Concrete! Doc Street Beast vs Larry Larson for $5k Outlaw Big Tire final at Colorado NO Prep Kings!! 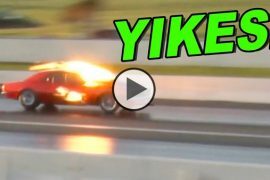 This is really wild Wheelstanding Wagon on Street Drags! Previous articleGorgeous ALL-Carbon Body ’70 Dodge Charger with 950hp!! Next articleUltimate Man Cave Garage Loaded with Awesome Muscle Cars! !